This is a fantastic roast duck recipe for the winter months, the spiced red cabbage adding to the warming effect of the dish. 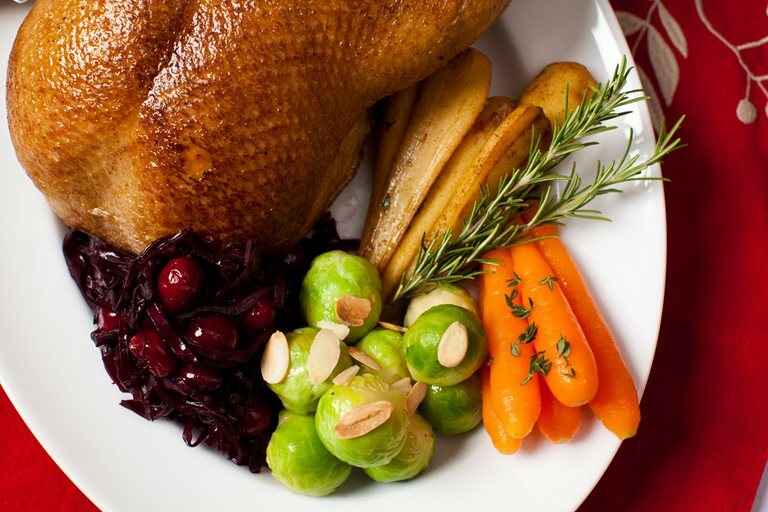 The glazed duck would make a flavoursome roast dinner, or a hearty meal to mark a special occasion. Serve this roasted and glazed duck with your choice of winter vegetables, or garnish with apple chutney, toasted almonds and rosemary.